A Victorian five bedroom detached house in a private position with countryside views, a garage and parking, set in approximately 0.77 acres of grounds in Aspley Heath. Silverbirch House is situated on a secluded plot and has views over open countryside. The house was built for the Dowager Duchess of Bedford in 1896. The accommodation includes four reception rooms, three bathrooms and a basement. A part glazed front door opens to an entrance lobby which has a door to the ground floor cloakroom and a door to the reception hall. The cloakroom is fitted with a wash basin and a WC. Both the lobby and cloakroom have terracotta tiled flooring. The reception hall has a marble fireplace with a wood burning stove, original decorative coving, a solid oak floor, and stairs to the first floor. The drawing room has a dual aspect with windows to the front and side. There is an open fire with the original wood surround and the original decorative coving. The dining room has a window to the side, original wood panelling, decorative coving and a solid oak floor. The morning room has a window overlooking the patio and rear garden. This room also has an original pine fireplace with a cast iron hearth, solid oak flooring and the original decorative coving. All three reception rooms look out over the surrounding woodland. A rear lobby leads to the kitchen/breakfast room and utility room. There is also a second staircase to the first floor, and stairs to the cellar. The breakfast area has a fitted wooden dresser with display shelves and cupboards. There is a fireplace with an Aga and fitted cupboards either side of the chimney breast. The kitchen has a range of fitted cupboards, display units, a glazed corner cupboard, tiled worktops and a white ceramic sink. There is a four burner hob, a built under electric oven and an integrated dishwasher. 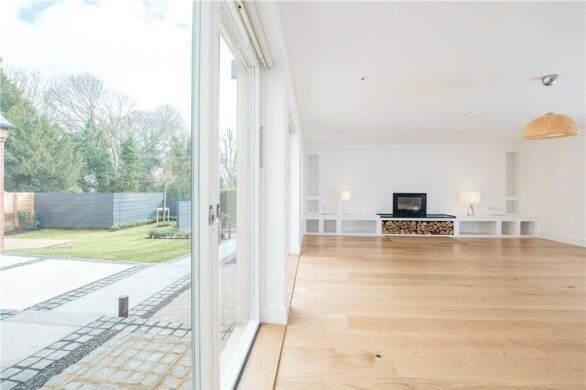 A glazed door opens to the rear garden and patio. The butler&#146;s pantry has spaces for a range of appliances and is fitted with display shelving, cupboards and a ceramic sink. The utility room has a butler&#146;s sink and is fitted with cupboards and shelving. Stairs lead down to the cellar. The game larder is at the first level and three cellar rooms are at the bottom of the second flight of stairs. 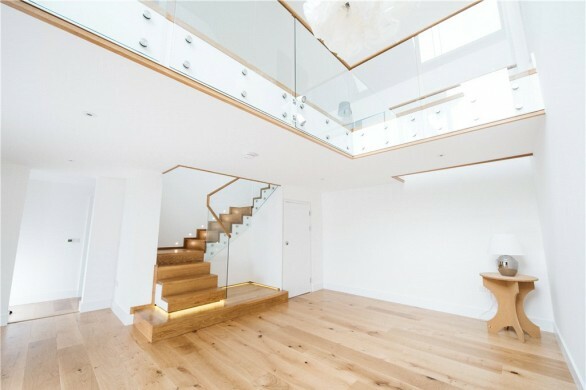 The main staircase leads to a half landing - which provides access to a bedroom and shower room - and then continues to a galleried landing on the first floor. The landing has a solid oak floor. The dual aspect master bedroom has windows to the side and rear, the original fireplace and the original decorative coving. There are a further three bedrooms and two bathrooms on this floor. There are a number of attic rooms on the second floor providing storage or the potential for further living accommodation. Silverbirch House is approached via a private block paved drive surrounded by shrubs and trees. There is off street parking near to the house. The landscaped rear garden is laid principally to lawn with flower and shrub borders. There are a variety of mature trees. To the rear of the house is a block paved patio enclosed with box hedging and a timber summerhouse. The entire property is situated in Aspley Heath woods and is adjacent to Duke of Bedford land. 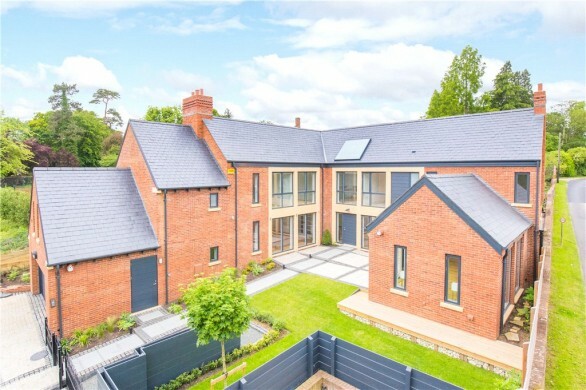 Aspley Heath is a residential location on the edge of the Woburn Estate and has direct access to the Heath itself where countryside walks and other outdoor activities can be pursued. Local shops, restaurants and pubs are available in Woburn Sands. Both the lower and middle schools in Woburn Sands have Ofsted ratings of Good, and private schooling is available at the Harpur Trust Schools in Bedford and also at Swanbourne and Stowe. The Woburn Golf and Country Club and Aspley Guise and Woburn Sands Golf Club are both approximately 2 miles away. Woburn Abbey and Safari Park are approximately 3 miles away.